I don’t think it’s really a secret on here that I enjoy curry. I make spicy food often, and I do really enjoy international cuisine that features bold and spicy flavours. When we were taking care of Sean’s supervisors cats it was great because we were central downtown and able to order all sorts of delicious food we normally can’t order! 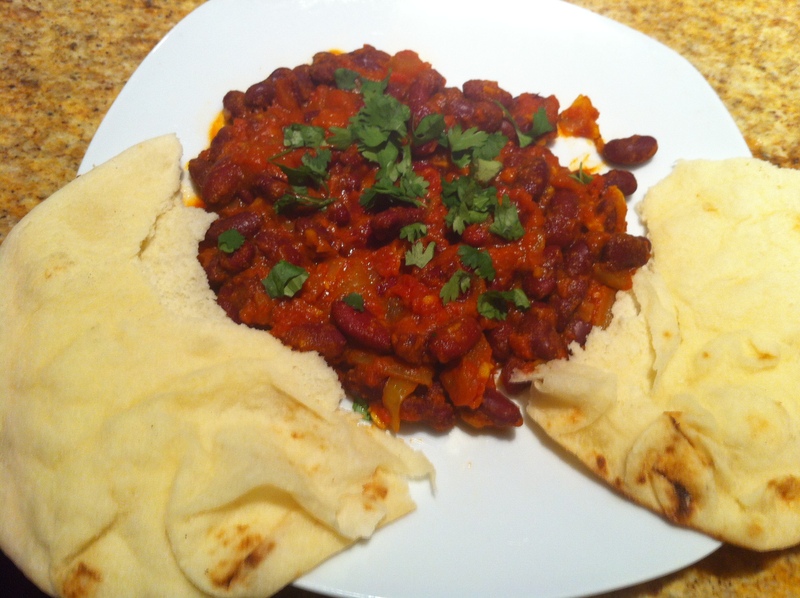 I decided one night to make this rajmah which is essentially a kidney bean curry. I love kidney beans (incidentally so does my cat, Freya!) and I love curry so this seemed like a no-brainer! Heat oil in a pan on medium heat, then saute onions. After 5 minutes of cooking onions, add ginger, chili pepper, garlic and sizzle for 1 minute. Add your tomato sauce and spices. Allow flavours to meld for about 5 minutes. Add the kidney beans and bring to a boil. Once boiling, turn it down to medium heat and allow to simmer for 10 minutes. This was a fun recipe, I’ll probably repeat it at some point since I do really love kidney beans… Honestly, they’re my favourite bean.